In keeping my goal of running one marathon a year, I've already chosen and, as of this week, started training for marathon number three: The Quintiles Wrightsville Beach Marathon, right here in Wilmington, North Carolina. I'm excited about this race for a few reasons. The first is that it's been nearly a year since I last trained for 26.2 miles and I actually kind-of-sort-of miss the sweet exhaustion that running 30-ish miles a week can offer. The second reason is that this race is in Wilmington. After traveling four hours to run Austin in 2010 and two hours to run Houston in 2011, rolling out of bed a few hours before the race and driving less than twenty minutes to the starting line will seem downright luxurious. The third reason is that, according to Runner's World's handy SmartCoach tool, I should be able to complete my third marathon in just under four hours. Yes, that's right. My goal for the Wrightsville Beach Marathon is 3:59:59. Is this a lofty goal? It is. Will it be difficult to achieve? It will. Will I have to be dedicated to my training, on top of my nutrition, smart about cross-training, and willing to turn down invites to the bar? Naturally. Am I physically and mentally capable of finishing a marathon in four hours? I like to think so. 1. I'm currently in graduate school. While I am busier than I used to be, my schedule is much more flexible. In the past, if I missed a long run I had to use vacation time to make it up during the week, if I was lucky. Now, I can easily adapt my training plan to suit my needs as they arise. 2. I have two marathons under my belt already. I know what to expect. Sure, I'll learn a few more things this time around, but I'm way better off than when I started. Case in point: I now understand the concept and importance of speed work. This is huge. 3. Wilmington is much flatter than East Texas. Flat = fast. 4. I now consider cross-training just as important as running. Kettlebell will make me stronger and yoga keeps my body flexible and limber. Kettlebell + yoga + running = the holy trinity of physical fitness. 5. I have an inflated sense of ego and confidence to spare. Plus, I like a challenge and a four hour marathon is definitely a challenge. In case you were curious, here's a link to the training plan I'll be using to get myself across the finish line. (I hope that link works - if not, let me know.) I also plan to write a marathon post each Monday, with details about the past week's workouts and progress. I've missed blogging about training almost as much as I've missed training, so this should be fun. Painful, but fun. 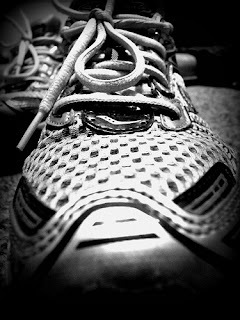 Do you have any big races planned for 2012? Do you love the feeling of a freshly generated training plan? Are you blogging your progress and goals? Let me know and we can cheer each other on!